Gone very mild here in East Devon (and thus wet), so at 6pm I got my camera and torch and had a look at my ponds. I've been looking since Jan 1st BUT really this is the first time with reasonable temps and the pond not actually being frozen over. I was pleased to see a newt but it was too quick to photograph. I shall go out again later and see if there are any about. No frogs about. Been out again and looked in the ponds and saw several frogs. 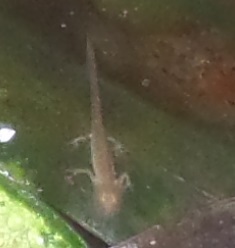 On looking at my photos later I noticed a young newt and an adult - sorry murky pix as it was raining. I cleared my pond out today as it had pretty much been choked with silt and duckweed last year, found plenty of frogs in the silt whilst doing so - all were relocated under wood piles. What was very surprising was finding 2 sets of 'couples' where i presume a male was on top of a female in what to me looked like a mating pose. I was very surprised to see this as in each case they were at the bottom of the pond and it is still too cold for this behaviour here in the South east - has anyone else encountered this before? it is still too cold for this behaviour here in the South east - has anyone else encountered this before? I've seen pairs in amplexus in my garden pond up to a month before they actually spawned, and occasionally seen pairs under the ice. Any reason why you put yours in a wood pile? I'd have returned them to the pond. My first garden frog above the water surface this year was on the 17th Jan. Unfortunately after years of neglect i had to drain the pond - it used to have a fair few fish and weed in but the duckweed basically killed everything off at the end of last year, i was just left with a totally covered pond with smelly deoxygenated water beneath - all the weed died off which just added to the problems - i decided the best thing to do was to basically start again with it. I am waiting on the expected rains to refill the pond, in the meantime the best option for the frogs was the garden - calling it a woodpile is perhaps glamourising it a little as it is a pile of wood, pine cones and vegetation but at least it will offer very good shelter for the frogs for a few days. Sorry to hear about your pond's demise. Duckweed is a real take over merchant. I had some nice starwort but it smothered over that. I'm not surprised it is grown as bio mass in places. I went out to look at the ponds tonight. It is very mild again - 11degC - and still raining. Several frogs jumped into the ponds but I didn't see them. Like last night I fired off some shots with flash but no torch (trying to be quick because of the rain). I then looked at the images on the computer. 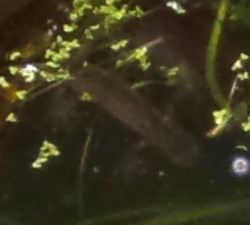 I saw a half hidden palmate newt in the larger pond but was surprised to see a GCN in the small pond. Looking at the image I put up last night I wonder if that was a GCN too. The feet looked likely. This is a poor shot in every way but one foot can be seen sticking through the weed. I won't now do any more photographing at night as I know it is not allowed. I just didn't expect to see a GCN so early in the year. Last year it was about Feb 22nd I think. 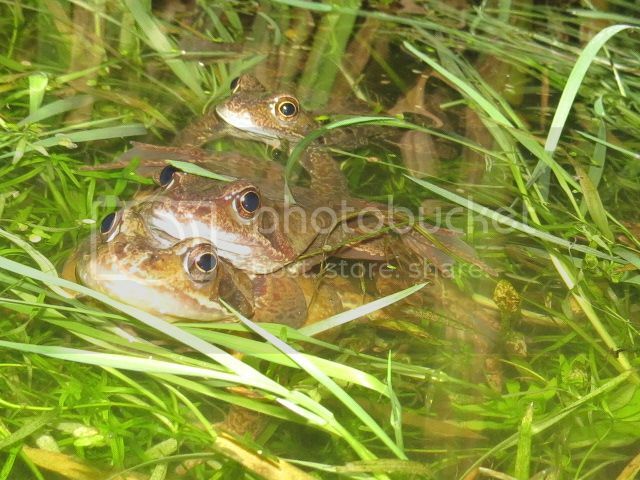 There was a first pair in amplexus a couple of weeks ago in one of my ponds, but i've not seen them since. Well done on the newts Suzy. Seen quite a few clumps of spawn in Cornwall. This is from yesterday but there were sightings last week as well. Mostly it seems to be over in this area, but still hearing a few males calling here and there too. Tyre ruts (spawn is centre of pic) - typical Rt! Apart from a single week where the frost didn't disappear we have had a very mild winter so far, hopefully it will continue through February. I was very heartened by the numbers of small frogs in my garden last year, the most i have ever seen, so with luck most will have made it through so far and it wont take the pond too long to get repopulated. 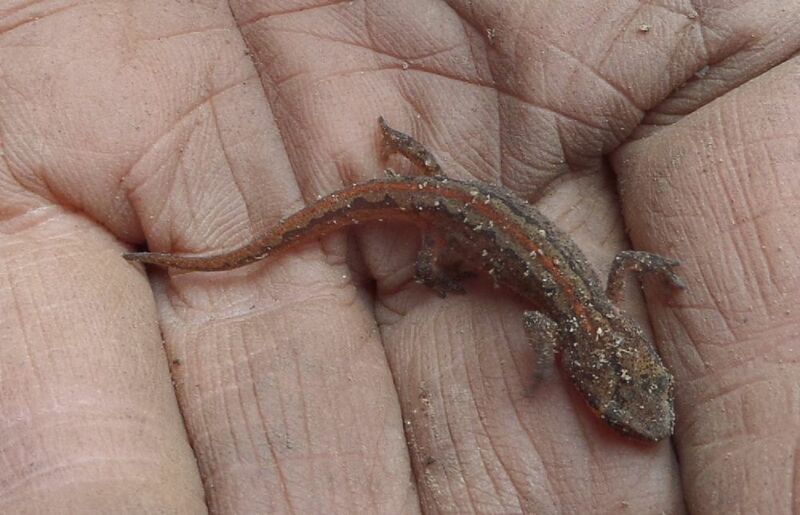 Checked my small pond last night and found 19 Palmate newts, spring is here. 19 Palmates wow! Can't help feeling all this activity will be halted by more cold weather, but I guess this happens every year and species survive. My small pond does not catch the sun until 14th Feb, so by then it should feel tropical to them, unless they're frozen in. Later than is usual, but things are finally starting to hot up in my Glos garden ponds now. I counted 46 frogs earlier, with a handful of pairings. Plenty more to arrive yet. Despite checking ponds elsewhere in Glos plus neighbouring counties (Wilts, Heres), over the last few days, these are the first congregations i've seen in my region. No spawn sighted. This afternoon a friend in Somerset reported frogs were later arriving than in other years too. What's happening where you are folks? I counted 27 males and no females in the pond last night, but there haven't really been any wet and mild nights since the end of the 'big freeze' which lasted a good few weeks in Hertfordshire. Am expecting incoming as soon as the weather allows! the odd frog in the pond but no signs of any couplings or spawn here - South East Kent - temperatures are sill only up to about 8-9 during the day, going down to 3-4 at night. Very little in the way of rain - had about an inch of snow a couple of weeks back but no rain since i don't think. Thanks guys. Yes, those warm, damp nights are key. Anything happening in sunny Essex Gemma? Looking forward to hearing how 'your' colony is faring. How about up north Caleb? Woke up to a white frost but followed on with a lot of sun, although only a high of 12 deg here in East Devon. I've been watching one cover for young slow worms and none until today when this one was warming up. It's not as small as the usual early arrivals (last year's young), but is small nonetheless. The compost heap produced 4 adults. 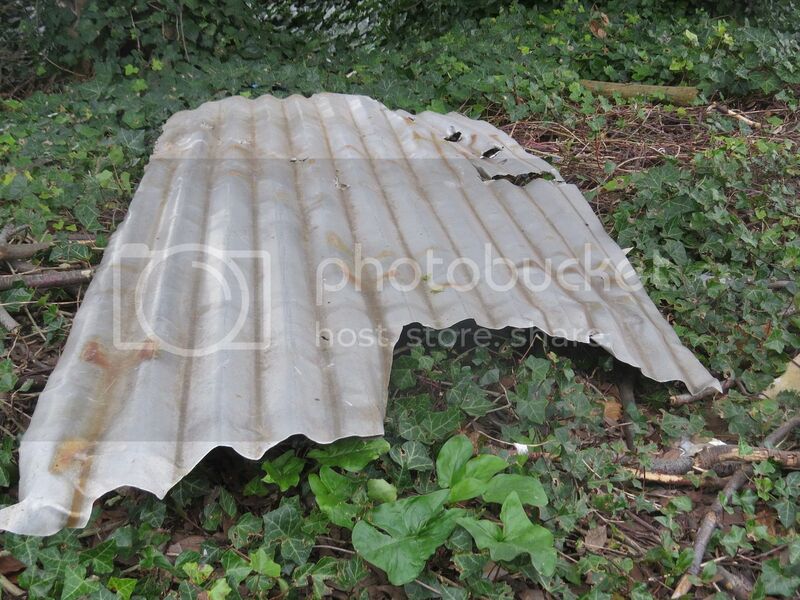 None under the oak tree covers. 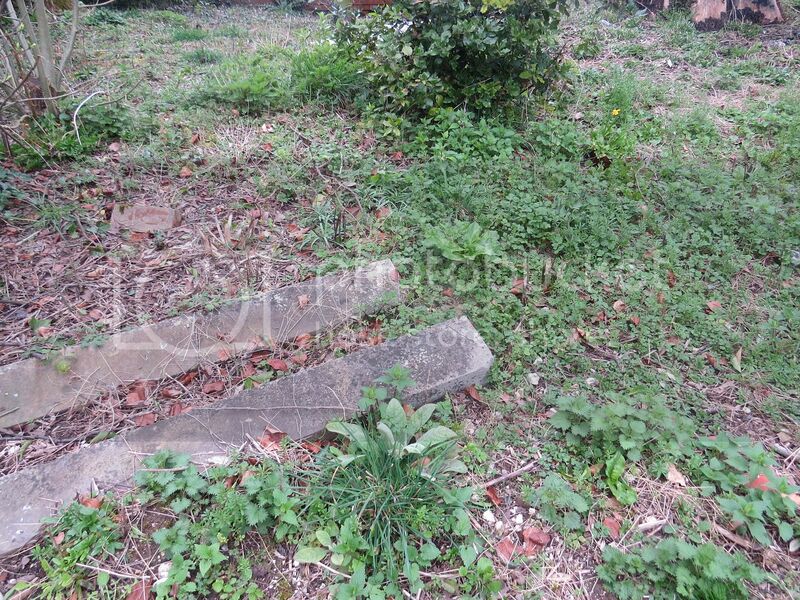 I think this is where the composters disperse to as there's never any early ones under there. Some beauties there Suzi. Love it. 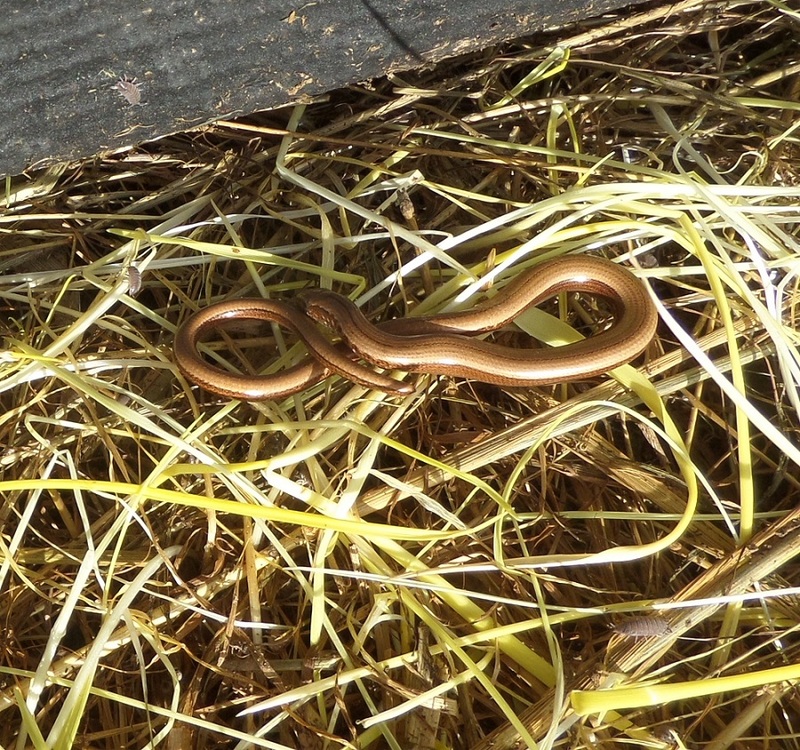 No slow worms under the old pond liner on top of my compost heap yet, but a first solitary clump of spawn appeared in one of my ponds yesterday. 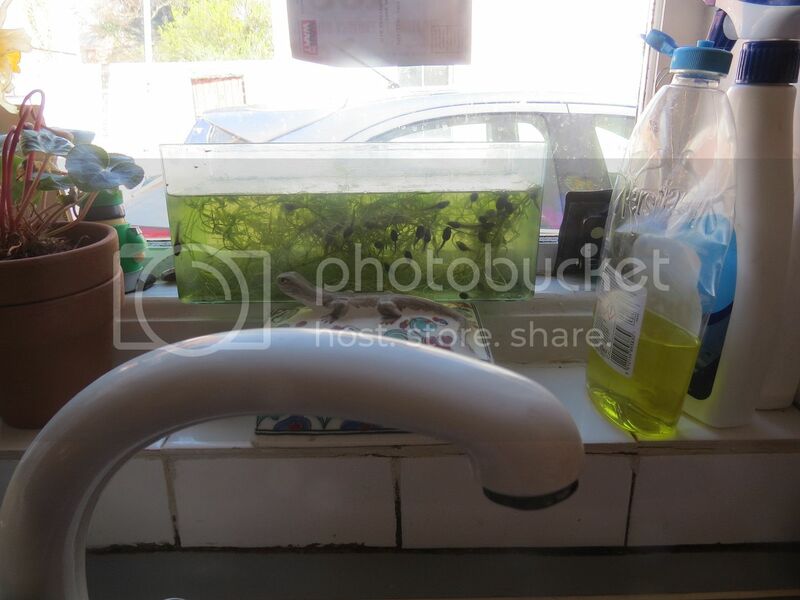 Since, as Will says, a cold snap is likely, i've removed it to a tiny tank on the kitchen window sill for now. Have spotted a few newts egg-laying as well. Strangely, haven't seen a single frog but nevertheless first two clumps of spawn have appeared. 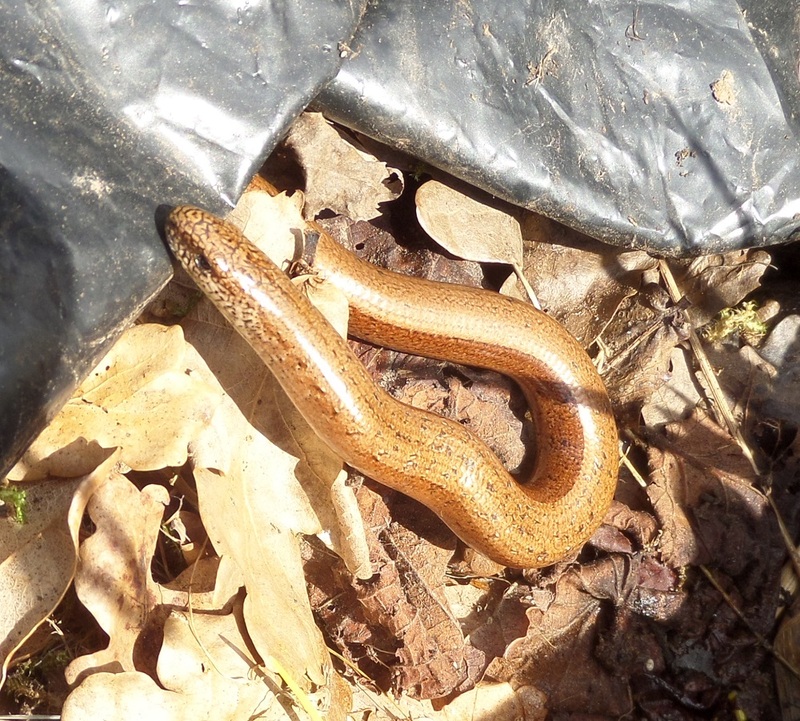 And one large female slowworm seen basking in a sheltered spot in long grass in the garden. 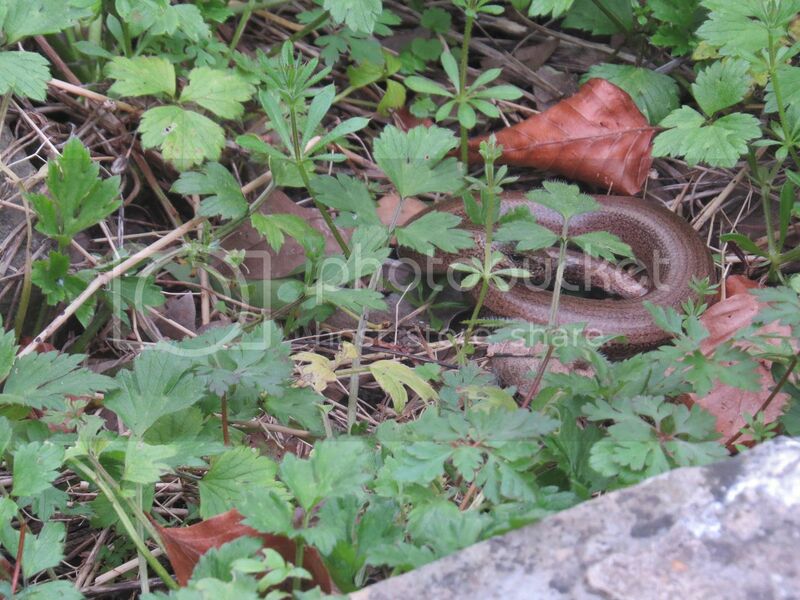 Funny that I next to never see slow worms basking in the open, although I do look. With the number of cats about I'm glad I can offer the slow worms some safe places. From time to time though I do find dead ones with claw marks on them. Plenty of frogs in the pond each night, unfortunately it is still pretty much devoid of weed after the big clear-out a few weeks back so will they still spawn, and without weed for it to sit on/attach to will it just sink to the bottom and die? Off-topic but still Spring related, saw my first hedgehog running across the garden last night so Spring is definitely here! 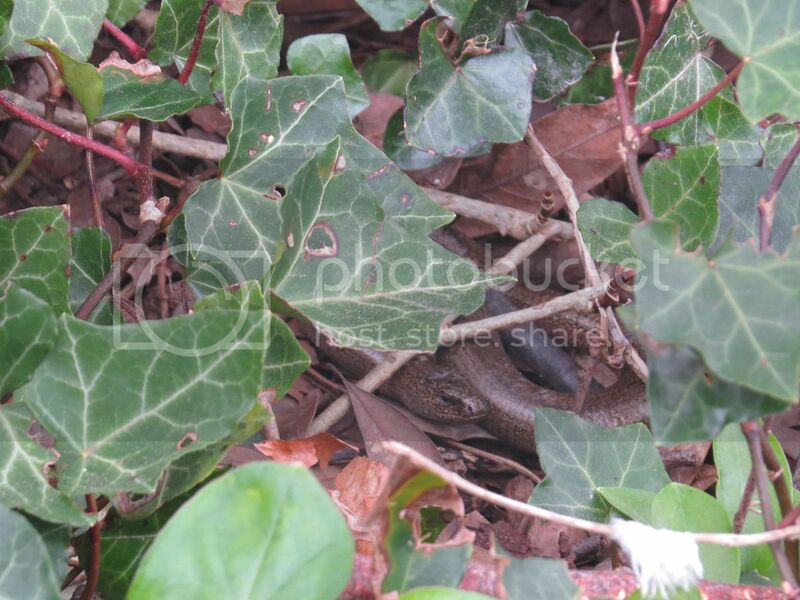 3) well done on the hedgehog although those frogs had better watch out.. I saw spawn at 3 sites at the weekend- about a week earlier than last year. Don't forget the "Nature's Calendar" map! Forgot to mention- altitudes of these sites were roughly 15m, 40m and 250m above sea level- yet frogs spawned at all three within a couple of days of each other. 3 clumps of fresh frog spawn in the clay pond this morning! Does that make all that back-breaking work a couple of years ago worth it? Now 6 clumps I wonder if there will be more in the morning. Watching some interesting behaviour today. All the unpaired males seem very attracted to the fresh spawn. Jumping about all around it, climbing on it. I think maybe they are hoping they can fertilize some of it too? I told them, boys you are too late lol. As you say in your post re the first three clumps - of course it makes all the hard work worthwhile. I am up to 9 clumps now - not an enormous amount but coninuing growth showing the frogs come-back from the dreaded ranavirus a few years ago. Hi Chris, 12 clumps this morning! 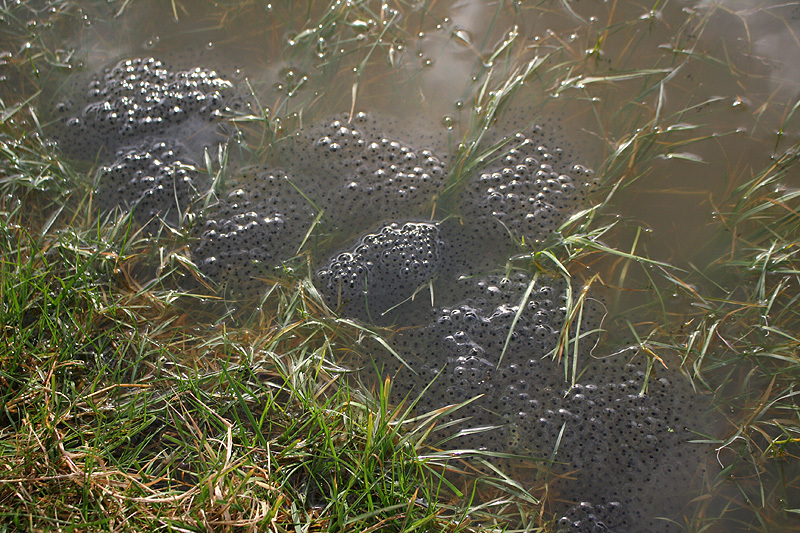 It doesn't seem a lot but it is only two years since the introduction of frog spawn to the pond. The books generally state the females take 3 years to mature (some clearly only take two!!). So perhaps if the average of 3 years is correct, this is only a beginning and next year we could get more. Counted 12 unpaired males last night. Have to set up the cat squirters today, once again a happy day was marred by finding a badly injured animal, male frog with all the signs of a cat mauling. Glad to hear your population is recovering from ranavirus, must have been awful when it struck. It was indeed - took me a while to suss what was going on. There used to be so many but the numbers plummeted. Now slowly but surely making a come-back - loads of young ones around last year so the next couple of years should see a bumper comeback. In the meantime, several slowworms up and about basking in the grass and one female common lizard as well. This time of year cheers me so much! ...and I forgot to add that I'm sure I read somewhere that DNA analysis indicated multiple paternity in at least some clumps, which would be the logical result of all these nefarious fertilization attempts. It would be fascinating to know how often this happens and what proportion of the eggs are fertilized by the 'sneaky' males. Sounds logical Will. These sort of behaviours are likely to have at least some success one would guess for it to continue in a species. I guess also one can assume with the haphazard method of external fertilization at least some of the eggs in a given clump get missed and remain unfertilized until a 'sneaky' male happens along. One could even imagine occasionally a entire clump being laid and not fertilized until such an event. Certainly fascinating to watch. Seems the life of an unpaired male frog in the breeding season is to call for mates all night and then by day go and ejaculate all over someone else's spawn clump. One could not make this stuff up and many unpaired males were at it again all day today. Once again our native herpetofauna keeps me fascinated and asking questions. Chris, we are still waiting for the first lizard sighting this year. Should be soon but it does seem it takes a time for the logs in the garden to warm up in the spring. I'm entirely convinced the lizards hibernate in these and could be quite deep in the log cores. The usual first sign is ladybirds emerging from the logs, then a few days later we see the first lizards poking their heads out of the cracks, followed by the start of open basking on the warmer days. 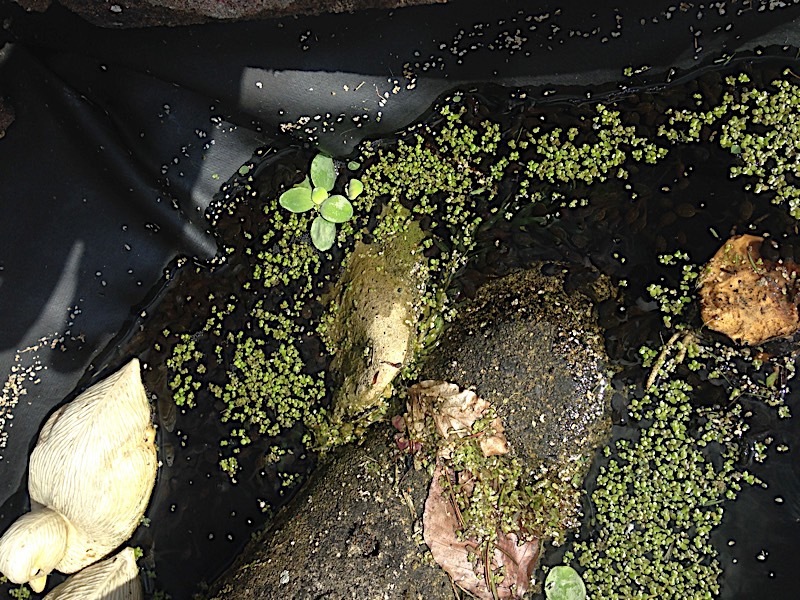 Lots of frogs in the pond, all trying desperately to lay eggs on the small amount of weed in there, what eggs there are seem to get knocked off the next night into the depths of the pond - will it survive in a shallow bucket? Anyone else seen any hedgehogs yet? Hi Chubsta, spawn will survive in a bucket OK, just get it indoors if there is a frost forecast and do not leave it in the full sun either. As I understand it your pond does not have enough weed to support the spawn on the surface? It is meant to swell and float but if it is going to the depths it may not get enough oxygen. Putting at least some in a bucket sounds like a good insurance policy. Not seen any hogs yet here in Essex. Thanks - Ive got some pretty big shallow trays i can use, will get the spawn out each day and see how i get on. 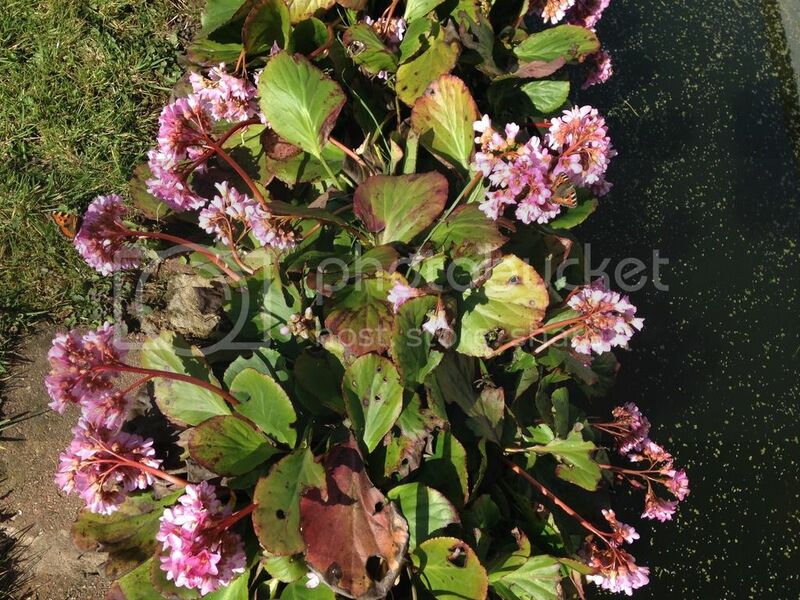 Its unfortunate but i really had no choice but to drain the pond as the duckweed had killed all the 'normal' weed off, i have a couple of small clumps and some marginals but its certainly not enough. last year was the best year ever for froglets, the garden was teeming with them so hopefully the blip this year wont have too much of an effect on their numbers, unless the hogs have been feasting on them of course! 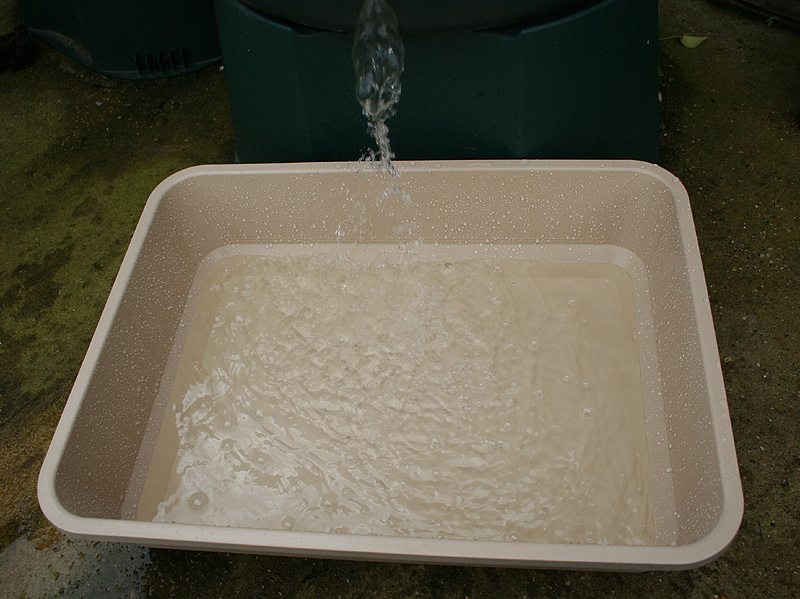 Shallow trays are much better than buckets, greater surface area for oxygen exchange. Ponds are always trying to do things like that. All we can do is try to keep them in an ideal state, but nature likes to do the 'succession' thing and mess them up. I good clear-out may also reduce invertebrate predators, so a win-win situation for the frogs in the end. We live in area that was long ago marsh land. I do not know the species but we have a marsh grass locally that is as happy in water as it is out. It was an area of this that grew naturally in our pond the frogs chose. i think one of the most positive things that has happened is that there are now no fish in the pond - apart from the fact they would prey on the invertebrates they were responsible for much of the nutrients in the water which allowed the duckweed to take over so quickly. The pond is now very clear, still some duckweed on the surface but art is manageable and i am taking it out with a scoop as i go along, the plan is for quite a few marginal plants, a couple of lilies and canadian pondweed etc. The pond usually has a big population of dragonfly and damselfly larvae, as well as shrimps, leeches and snails, so once it gets up and running again i expect all to come back. Last year, for the first time in probably 20 years, i also had a couple of newts so hopefully they will return. I am also installing a couple of small solar-powered fountains to help aerate the water. Basically it is year-0, and i think it will end up much better for the wildlife than it has been the last couple of years, and shouldn't need de-silting for at least 15-20 years again. Our pond is only two years old. So the same still getting there. If it had not been for that patch of grass growing into the water, we would have had the same problem, nothing to support the spawn. I usually avoid canadian pond weed. I know it is a good oxygenator, but it can really take over a pond at times. Then again I was advised not plant flag iris and the large native pond lilies. I did because I like them and as they are in planters they have been no problem and are both beautiful when in flower. Quick question - given that i don't really have any weed to spare, what should i put in the trays with the frog spawn and should it be kept outside in a relatively shady spot, or inside a pretty dark shed or garages? From experience I wouldn't say you need to put it in the total shade at this time of year. If I had some spawn by February, which I don't so far, I would have it in buckets in a cold greenhouse. When it hatches, after a short time, I put it outside in trays which catch sun. However as the sun gets stronger you do need to make sure the shallow water is not getting overheated and de-oxygenated, so I move the trays so that they only get a few hours of sun at the most. I have duckweed in my ponds so some of that goes in the trays, but I'm not sure weed is that important if you are feeding them. I've never seen mine eating duckweed, but they might do. Others might offer different advice, but this works for me. 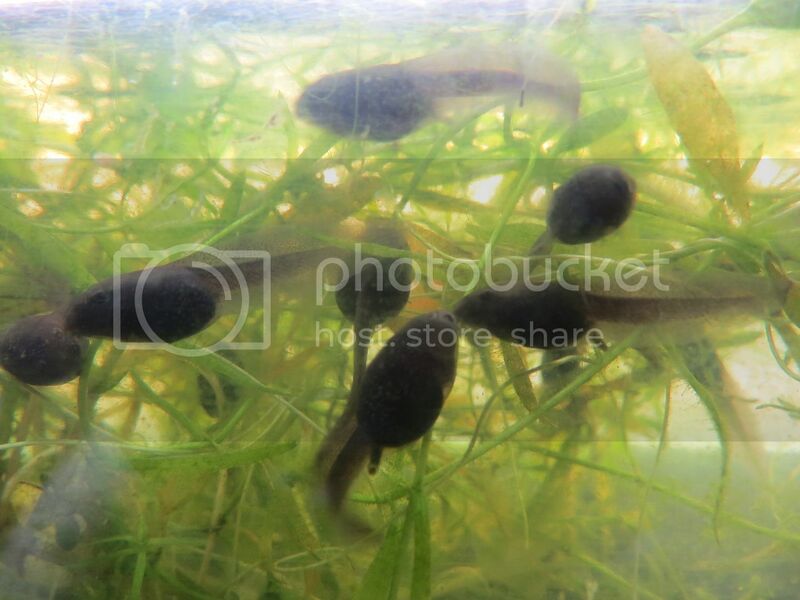 Sadly one year I lost all my tadpoles as the water got too warm, so I'm careful now about positioning the trays. I do not add pond weed. Spawn goes in trays with pond or rain water. 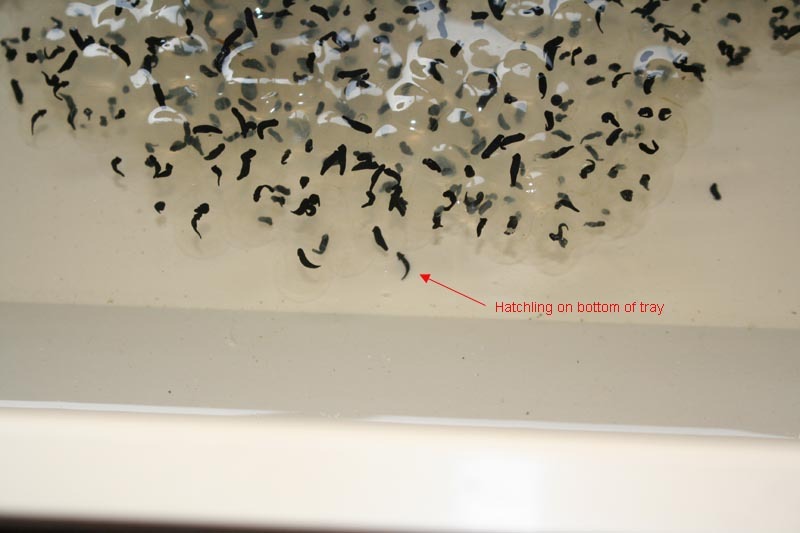 When the tadpoles hatch they drop to the bottom of the tray and look a bit dead for a while. Then they get active and swim up to the remaining egg jelly. Give them time to eat all the jelly before worrying about feeding them anything else, this is their first meal and over several days they will have eaten it all up. At this stage chubsta, you could release them in the pond as soon as they have eaten all the jelly as they become free swimming and can start to find food for themselves in the pond. This would save you a lot of the effort in rearing them, yet at the same time solve the problem of the sinking spawn. If you want to rear them further, just because it can be fun this is my method. Once the jelly is all eaten I then make up a liquid of boiled cabbage. Boil up the cabbage then liquidize it so you have it at a consistency that will pour easily. start to add just a few drops of the cabbage food to the trays, just enough to colour the water. Only add more when the water clears. Too much and it will foul the water and it will need to be changed. Catching lots of tadpoles during a water change can be tedious. (guess how I know that?? ). I usually do the cabbage water as a batch and freeze it in ice cube trays. Then one can add an ice cube to the water and it will release the nutrients slowly. The next steps really depend if you want to rear them up to a good size or not. If you do, when it gets to a stage where some are clearly larger than others, separate them to different trays. The little ones catch up once the bigger ones are taken out. At some point, the larger ones will switch from being vegetarian to carnivorous. What I do is buy freeze dried daphnia cubes (sold as fish food). Put just a tiny bit of one of these in the water and see if the tadpoles are interested, if not remove it. At some point some will show interest, soon after it will be like they go crazy for it! Then let them have a cube at a time and add more when it is all eaten up. Talking about this got me thinking about late frosts and hungry foxes. So I've decided to bring some of the spawn in from the cold. I rear taddies indoors. I put the tray on the floor by our west facing bay window. It will not get much direct sunlight, but it can be very bright in there in the afternoon. It's a case I think that taddies benefit from sunlight but one can not let the water overheat in direct sunlight and deoxygenate as Suzi has said. Nothing to do now but wait for them to hatch and eat all the jelly. Usually if they are indoors everything happens more quickly. Will be fun to see how much quicker they are than the ones still out in the cold. Will update as things begin to happen. Just to add a bit to this discussion...I can't avoid putting duckweed in with my spawn as it is all over the ponds, so scooping pond water to mix with rain water I'm bound to get some. Yes I let mine scoff the jelly before decanting them into trays. I then feed them boiled lettuce leaves finely chopped. As the taddies get bigger there will be a feeding frenzy when you add it to the trays! Having overcrowded trays definitely slows down the growth rate of taddies. Whilst rearing them like this can be fun, it is quite a bit of work. I only do it as I have things in my ponds that would eat all the small taddies I could provide! When they are large I then return them to the pond and they do OK. The indoor spawn is starting to hatch. Outside the embryos are still round and the spawn looks much the same as when it was laid. Lovely to see them hatching! i have about 20 clumps in a large tray outside at the moment, seem to be getting a few clumps each day. What has surprised me is that it tends to be laid during the day, i always thought of it happening at night but there is at least as much activity in the pond during daylight as at night, frogs everywhere at the moment, including some beautiful red coloured ones that i will try to photo if i get the chance. Beautiful day here in the South East, temperatures in the high-teens and clear blue skies, loads of butterflies, bees and hover-flies around the pond, and the frogs have been very busy - I now have plenty of spawn saved in the tray so will just let them get on with it in the pond, with the lack of predators in the pond since it was cleared out this Winter there will hopefully be a good survival rate. Was out for the day yesterday so didn't get a chance to check the ponds for spawn until I got home teatime. Was pleased to find a clump in the small pond which I netted out into a bucket with a quantity of pond water. As i tipped it out into the bucket a newt's tail was spotted wriggling in the middle of the clump so I caught it and put it back in the pond. It was a male palmate having a meal of spawn I guess. Again today I was out all day and only checked ponds at teatime and found five clumps of spawn in the large pond. I netted it out into same bucket as yesterday, but tomorrow will do a bit of decanting into other containers. This is the most spawn I've ever had in my ponds. Great to hear your getting more spawn Suzi, all the helping out must be making a difference! Lovely! How long does it normally take at 'normal' temperatures (about 10degrees day and night)? It is very variable depending on the weather. Look for signs of the black embryos losing their round shape and becoming elongated. It is all happens much faster indoors for sure, sometimes at least two week ahead in my experience. 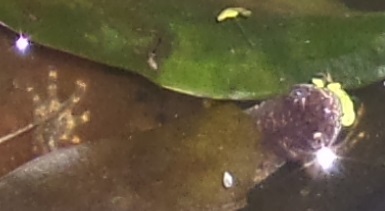 Was looking at my frog spawn today...at the stage Gemma mentions above. Saw a newt larva scudding about in one container. I must have scooped it up with the spawn! At least it has something to eat. Hey Gemma, i see next up on the playlist after your wrigglers is female Ramones tribute band The Ramonas. I'm playing a gig with them in a couple of weeks. Well, the advice on decanting the frog-spawn to large trays was a great success, today i put a good few thousand wrigglers into the pond, the fact there are now no predators such as fish in there will hopefully mean that this year will be a bumper crop of froglets. The weed in the pond is starting to grow in the good weather, the duckweed is being kept well under control and there is lots of fresh water going in from the rain - very positive start to the year. I have had to remove the fountain for a while until the tadpoles are strong enough to not get sucked in but don't anticipate any issues around water quality as it should only be for a couple of weeks i think until it goes back in. Mine hatched out of the spawn last Saturday and I will get them outdoors on Monday or Tuesday next week. They are still in a cold greenhouse, which I ventilate when it gets warm, which hasn't been a problem much recently. I too have got thousands of taddies. I can't put them in the ponds yet as they are too small. Quite a lot of 'my' frog spawn wasn't viable this year and went bad unfortunately. Hey Chubsta, found this single dropping on a stone beside my pond on 5/3/17. Too small for cat or fox, too large for rodents, and mustelids not present. 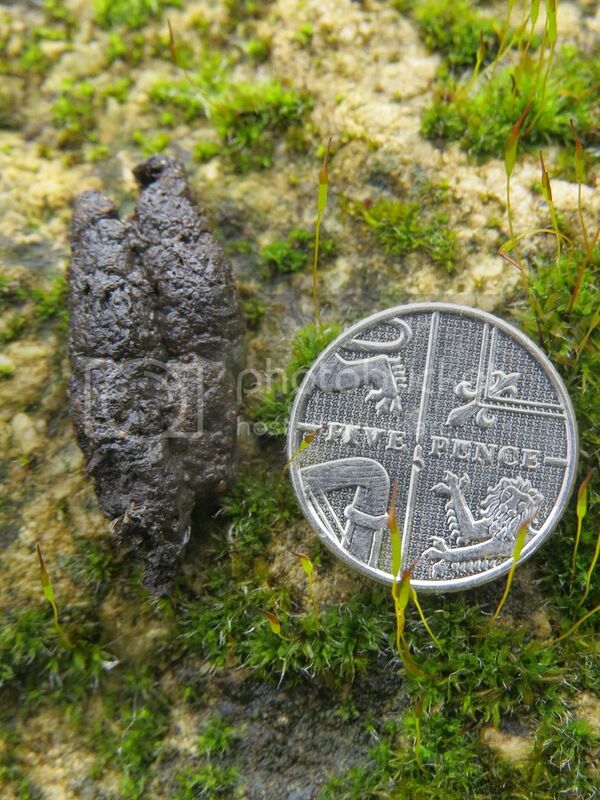 Looks a lot like 'typical' wormy badger poop, only smaller. Which might suggest an animal with a similar dietary preferences to brock. i would say definitely a hedgehog - when i mowed my lawn the other day it was more hog poo than grass so have plenty of experience of it! Might be worth trying to encourage them, meaty dog or cat food (no gravy based ones), sunflower hearts and their favourite, mealworms, under an overturned plastic box (15cm hole to keep foxes and cats out) might keep them around. The fact you have a pond will be a big draw as they drink LOADS. 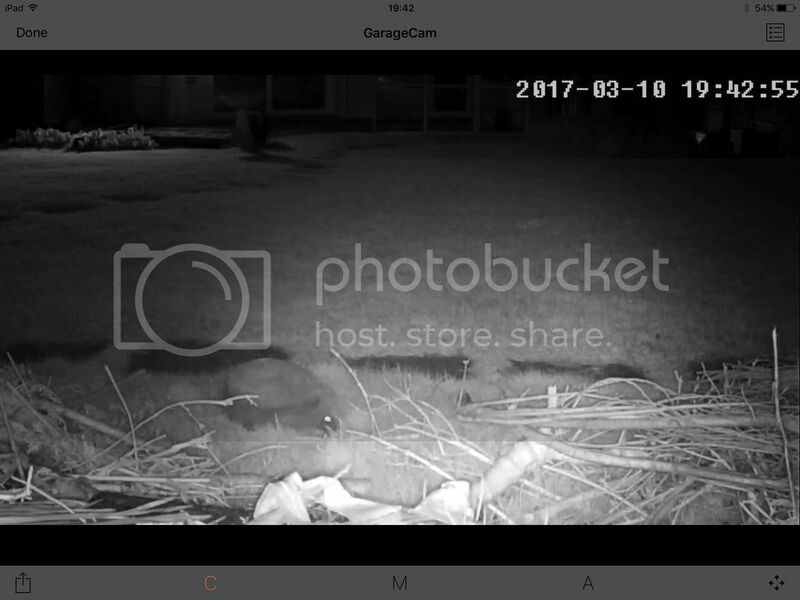 i used to see the odd one or two in my garden but it was only when i put cameras and a feeder out i found that i had up to 15 individuals travelling through each night. Thanks for the confirmation Chubsta. The WLT thought it was duck muck. I knew it wasn't that! Wrong consistency, and i don't get ducks anyway (and glad about it too - they foul garden ponds). Another hedgehog log has appeared since so maybe i'll get some cat food. In summer i used to leave the back door open to let some air in while sat on the sofa watching TV. One night, getting increasingly annoyed by the scratching noises coming from underneath, i bent over expecting to find the cat playing with a dead mouse or something and got a surprise. The hedgehog was equally surprised to find my ugly mug suddenly appear a few inches from his snout and darted across the room, disappearing under a big pile of assorted belongings stored under the stairs. I put a bowl of cat food nearby and about half an hour later the hog came out, noisily ate it's fill and slowly wandered off outside again. 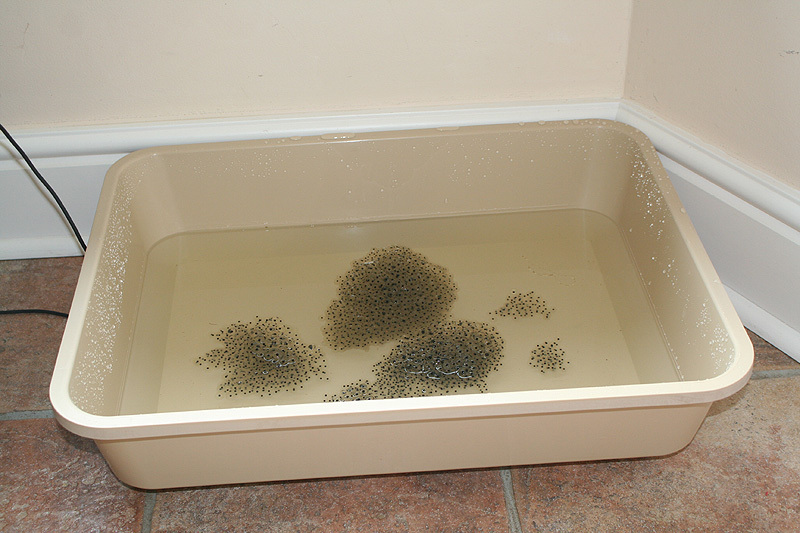 Great news, mine are all released now and the pond spawn hatched about 10 days behind the clumps I brought indoors. Just in the last couple of days the taddies have started to spread out all over the pond. Up to then, they were all huddled together munching on the remaining spawn jelly. We have a big bloom of ivy leaved duckweed this year, it has been multiplying almost on a daily basis. The taddies seem to be munching at it (or algae growing on it), so perhaps it has its uses. Had a look at the pond today and it is heaving with tadpoles - they seem to be growing very well although there are still a few smaller ones, there are much larger numbers of big fat ones. What was potentially going to be a disaster with there being no weed for the spawn to stick to has been turned around into a potential record season. My taddies are still in containers outside in the shade -well half an hour of sun or so a day. I will release them when they are bigger so they stand a chance against the many things that eat them. I have ten containers of them. Lovely outside today, we still have 3 adult frogs hanging around in the pond. Taddies are around the edge of the pond busy feeding so the water is shimmering and alive. Smooth newts popping up for air now and again and the females laying eggs. Lizards are out sunning themselves, who could ask for more! On the subject of tadpole 'farming', i usually put a tiny bit of spawn in this mini 25 x 10 cm 'aquarium' (actually the bin of a manual paper shredder! ), on the kitchen windowsill so we can watch them develop. Coming along very well - and rapidly -so far! Ah memories of school, a tank of taddies. What is the weed Ben? 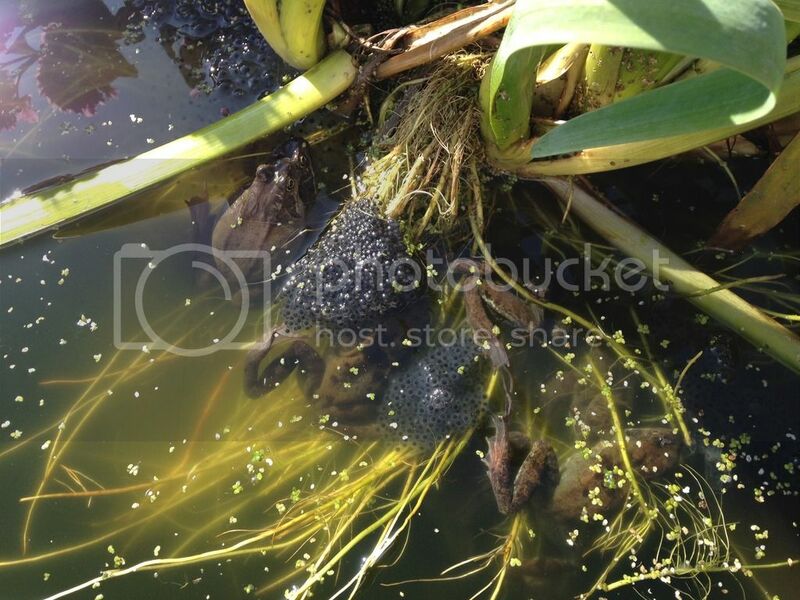 Not there best photos but give some idea of the sheer quantity of tadpoles in the pond! It's one of my favourite aquatics - beautiful and delicate (except when well- established) Water Starwort (Callatriche). Probably Common Water Starwort (C. stagnalis), but can't be sure since the tricksy Water Starworts require study to separate to species and i haven't done any homework! The taddies seem to like the plant too - i'll have to replenish it soon. Ah yes an attractive plant. I think I've mentioned I had it but duckweed managed to smother it out of existence. 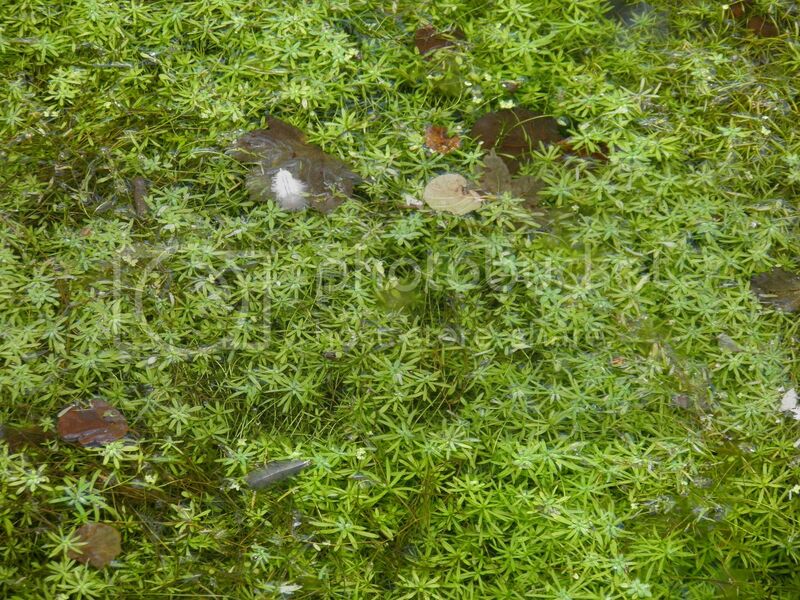 I'm expecting to see the start of this year's growth of frogbit soon. Sad to report we have had a tadpole disaster, we think it was chemical spray form the neighbouring field. The day before it was sprayed, I was watching thousands of tadpoles feeding at the edge of the pond. The day after spraying, the tadpoles seemed lethargic, then over a couple of days they started to disappear. Just a handful left alive in the pond. Wind was in our direction and I got a soar throat from the spray. Does make me sad that it is not just the arable fields that are wastelands, the action of intensive farming can affect nearby gardens too. The chemical companies do the testing. Enough said regarding toxicity of their products! Very often they get sprayed at much higher concentrations than recommended or is legal also. 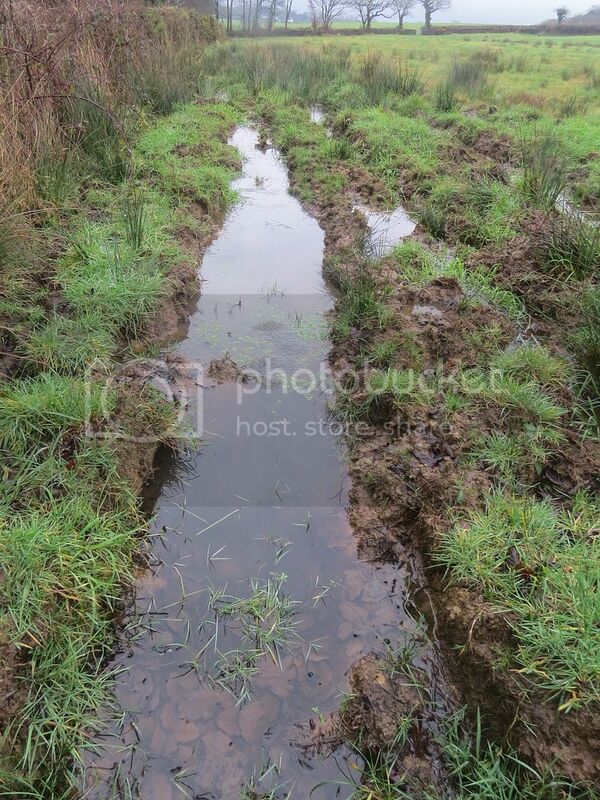 I do not tend to get involved locally, a hundred things I could drop our neighbouring farmer in deep water for, but they are neighbours at the end of the day and we have to live here and get on with them. I have high hopes that when our hawthorn hedge is mature enough it will stop a lot of the over spray, but it will be a couple of years before it has grown enough. I had to replace the old hedge because the farmer ripped it to pieces when turning a plough in the field, they caught some old fencing buried inside it and made a terrible mess of it. Gemma, I am sorry to hear of the tadpole disaster. Hopefully some will make it. Fair enough, it just gets to me that farmers and housing developers seem to be able to do what they want with the countryside. 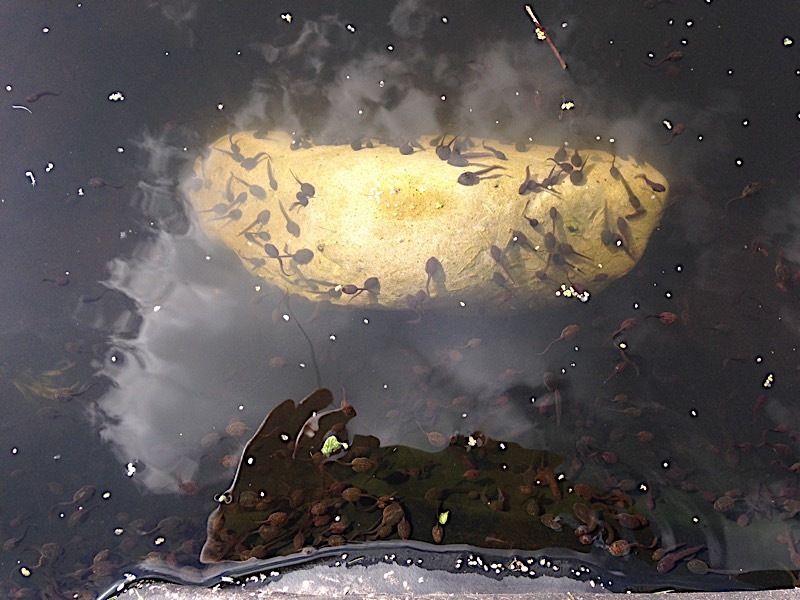 Hopefully enough tadpoles have survived that some will reach adulthood. Thanks everyone for your thoughts. It is Mervyn I feel for really, in his 70's now and a big highlight of his day is counting what he sees in the pond. There are a few taddies left, not many though. I'll pump out the pond in the Autumn, do a water change and next year raise some of the tadpoles for longer. I was going to this year then thought they would be fine in the pond. It just goes to confirm what I had suspected for years, intensive arable agriculture has wiped out common frogs from much of the wider countryside in East Anglia. Gemma - it looms like my poor tadpoles may have now suffered a similar fate..
On Friday night we had the first rain for at least 3 weeks, not much, but enough to make the ground wet so its a start. The next day I saw loads of dead tadpoles on the surface of the pond, they were basically disintegrating. There were still plenty swimming healthily though. I decided to put the fountains on to aerate the water a little and the surface almost immediately went foamy, it was like detergent had been poured in! I have just checked now and whereas before this weekend the pond was absolutely heaving with tadpoles now i am seeing just the odd one, thousands must have been killed. I guess there must have been something in the air that was brought down with the rain and into the pond, I can't think of any other explanation. I live in the middle of a village so overspray from fields is very unlikely, but the village is on the cliffs overlooking the channel and it is close enough to smell France (there are a lot of occasions where pollution from the French side of the channel has caused problems around here, and the smell of whatever they are doing can be horrendous) so it could well be something brought over at a higher altitude that the rain just happened to bring down. Oh no! This is not good at all. The way you describe them disintegrating is just what happened to ours. There were one or two obviously dead and floating, but the majority just seem to disintegrate. There were signs of an ink black residue around the edge of the pond, I can only assume it was what was left of them. I did spot one in the pond today, so some are still alive, but just the same, it went from thousands one day, to practically none left at all. I am pretty convinced we can put ours down to the field being sprayed. It seems even more worrying that the rain could bring down enough toxins from the air to kill tadpoles. It's that time of year when we find palmates in the overgrown parts of the garden.